ACT Policing is seeking to locate the rider of a motorcycle which appears to have crashed earlier this morning in Palmerston (Tuesday 27 January). 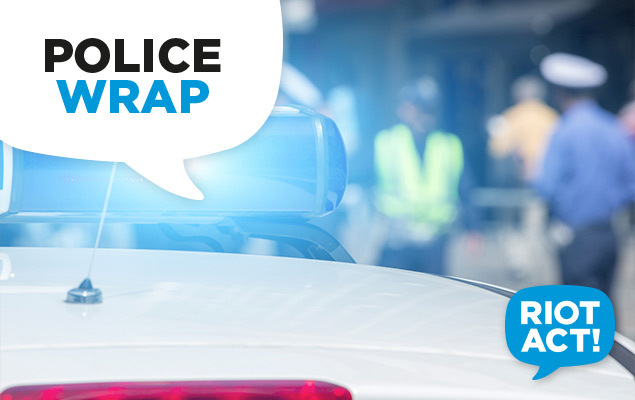 About 4.30am police received information of a motorcycle in the middle of the road on Kosciusko Avenue, near the intersection with Grampians Street. Police attended the scene where they observed a motorcycle, a yellow Honda VTR with ACT registration, in the middle of a lane on Kosciusko Avenue. There was visible damage to the bike and police also located blood on the bike. Police have made a number of enquiries to locate the rider and registered owner with no success. Police would like to identify the rider of the motorcycle as they may require medical attention. Anyone who may have seen a yellow Honda VTR driving in the Gungahlin area earlier this morning or may have witnessed the collision is urged to contact Crime Stoppers on 1800 333 000, or via act.crimestoppers.com.au. Information can be provided anonymously.